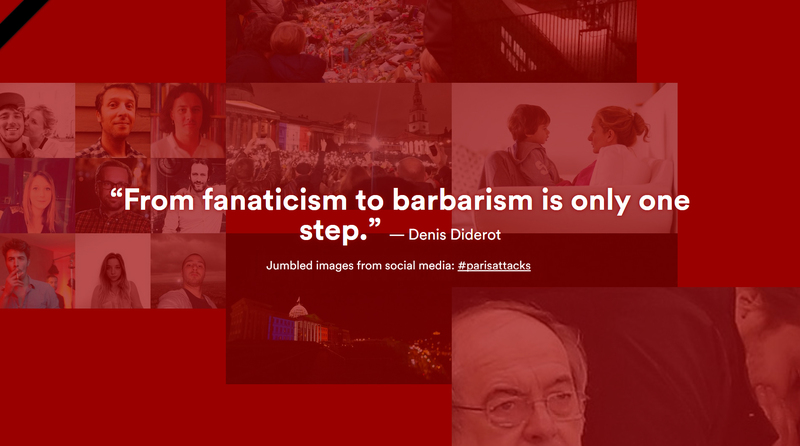 On Friday, November 13, 2015, France has once again been cruelly struck by terrorism. 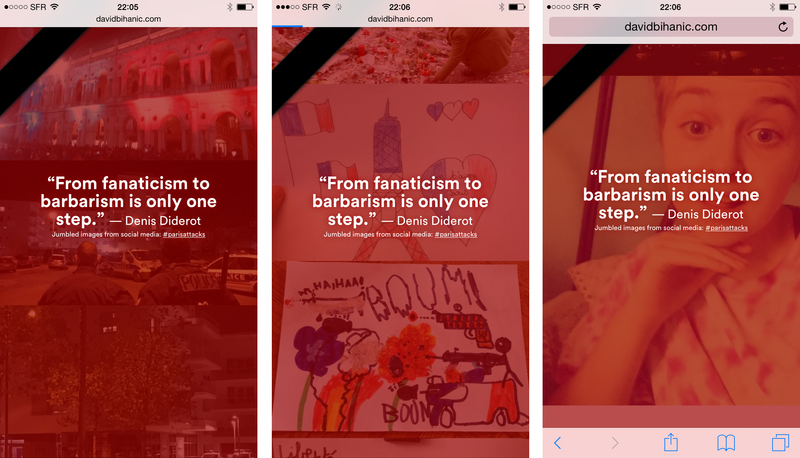 A series of murderous and horrific acts that left 132 dead and more than 175 wounded. 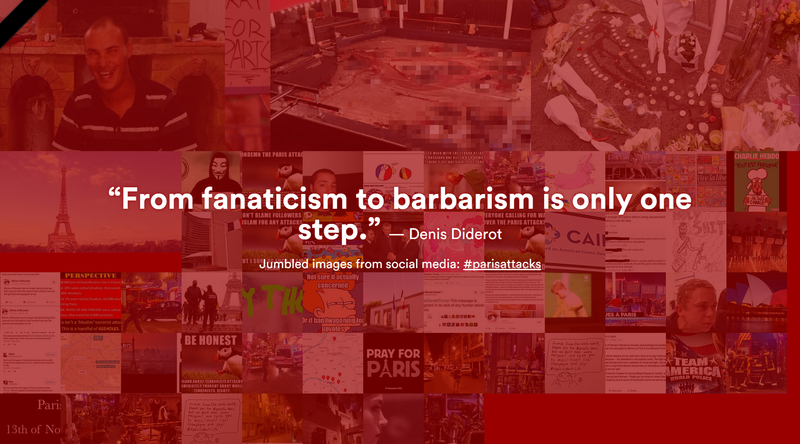 This tragedy that we lived has affected humanity as a whole. 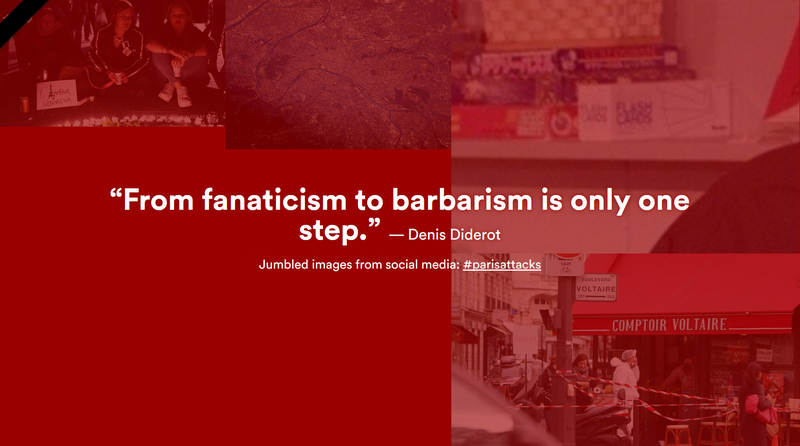 I created a net art-piece called “Fanaticism 2 Barbarism” to pay tribute to the victims. By collecting images posted on social media (Twitter, Tumblr, Gifboom, Imgur, etc. ), the program generates a random composition that crops, resizes, superimposes, and combines the images with each other, perpetually and in real time. 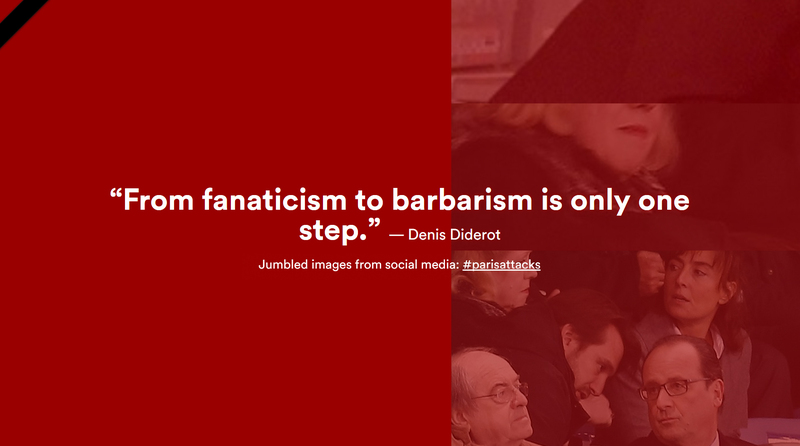 David Bihanic, “Fanaticism 2 Barbarism”, November 2015.